The company put patients in jeopardy thanks to lax standards. Theranos was -- is -- a blood-testing startup that promised to identify illnesses from a single drop of blood. Its innovative hardware, called Edison, could quickly spot diseases without the need for vials of blood. It was so revolutionary that pharmacy chain Walgreens partnered with the startup to offer "wellness centers" inside its stores. Except the biology and technology that underpinned Theranos' business was possibly junk, and the company spent the bulk of 2016 trying to convince everyone that it wasn't a massive con. It's hard to mock a company that's hit the skids, especially when there are real people suffering as a result -- whether that's employees losing their jobs or patients who have made medical decisions based on misleading data. Back in May, Theranos voided and corrected "tens of thousands" of blood tests that it had taken and examined across the previous two years. All because a lab staffer used a generic piece of testing equipment with the wrong settings. Even worse is that Theranos sent out test results, despite erratic quality control results, to between 40 and 81 people that placed them in "immediate jeopardy." Whistleblower Tyler Shultz found that when Theranos tested its Edison machines, any inconvenient data -- meaning that which conflicted with the company's official narrative -- was discarded. Internal paperwork said that Edison was accurate 95 percent of the time, but in reality that figure was somewhere between 65 and 80 percent. In hindsight, it's easy to pinpoint exactly where things went wrong, and where founder and CEO Elizabeth Holmes should have made amends. 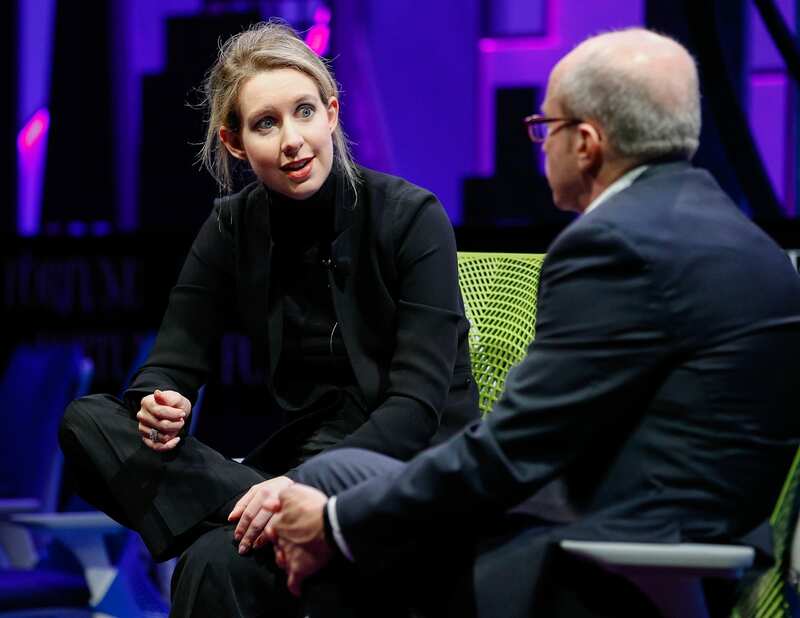 But with Theranos, the whole venture seemed misguided from the moment her professors at Stanford told her that fingerprick testing wouldn't work. Whenever there was a hint of discord, Holmes would immediately send a cadre of lawyers around to intimidate them into silence. There is then the story, as reported by Vanity Fair, about how Holmes allegedly treated her former chief scientists, Ian Gibbons. As explained by his widow, Gibbons was reticent to respond to a subpoena asking him to explain how Theranos' technology worked. His reasons were, according to Rochelle Gibbons, that the hardware wasn't yet ready for use by the public. In May 2013, Gibbons attempted to take his own life, and passed away a week later. Rochelle Gibbons then claimed that she received a call from someone at the company -- not offering condolences, but to ensure that she returned any confidential Theranos property. Next came the lawsuits. Walgreens, which until recently was Theranos' key retail partner, wants $140 million. The investment fund PFM believes that it was misled by Holmes into investing $100 million in the startup "through a series of lies, material misstatements, and omissions." Theranos has claimed, publicly, that the lawsuit is "baseless" and that the investors are "engaging in revisionist history." Another investor, Robert Colman, believes that he, too, was misled about Theranos' capabilities and technology. Others could soon pile on as well. Holmes herself, who at the beginning of the year was on Forbes' list of America's Richest Self-Made Women, has seen her perceived net worth written down to nothing. Theranos attempted to distract from its malaise by announcing a new piece of testing equipment, called miniLab. Holmes also went big to push a new test that could detect the Zika virus -- timely, given the global crisis surrounding the disease. Not long after, however, the company withdrew its request for FDA approval after its supporting evidence was found to be improperly collected. Holmes is now facing a potential ban from running or owning a lab for two years after the Centers for Medicare and Medicaid Studies audited one Theranos facility. If that wasn't bad enough, Adam McKay, who directed The Big Short, has signed a deal to direct a movie based on Holmes' life. On the upside, it's currently pegged to star the Academy Award–winning Jennifer Lawrence. On the downside, it's likely going to use all of these grisly pieces of news as fodder for the screenplay, which will probably paint Holmes as a charlatan. Either way, it's not going to be pretty.